Moving house. Should you buy or sell first? So, the time has come to upgrade your house. 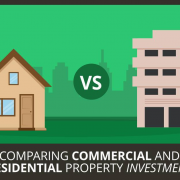 But should you buy first, or sell your existing place first? It’s a tough choice. Here are the key pros and cons. http://brickhill.com.au/wp-content/uploads/2018/04/post.png 587 710 admin http://brickhill.com.au/wp-content/uploads/2017/03/brickhill-340-x-156.png admin2018-04-15 20:15:512018-04-15 20:15:51Moving house. 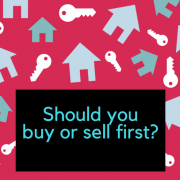 Should you buy or sell first? The Reserve Bank has kept official interest rates on hold at the record low of 1.5 per cent. It is now the 18th consecutive board meeting where the RBA has not budged from its emergency setting. The non-move equals the previous longest stint without rates changing since the RBA became independent from Federal Treasury, set between January 1995 and July 1996. The RBA last moved in August 2016 with a 0.25 percentage point cut. Despite many economists believing the RBA had lost some conviction in its GDP growth forecasts, the decision was widely expected. Futures markets had priced in a 0 per cent chance of a change. In its post-decision statement, the RBA again avoided its earlier mention of GDP growth running above 3 per cent over the year, lowering its sights to it should be stronger than last year’s 2.4 per cent. In his statement, RBA governor Philip Lowe said the current “low level of interest rates is continuing to support the Australian economy”. “One continuing source of uncertainty is the outlook for household consumption, although consumption growth picked up in late 2017. While the RBA’s view on the domestic economy remains relatively unchanged, there was a shift in emphasis in the global commentary, particularly regarding concerns about US trade policy and tightening credit markets. “Equity market volatility has increased from the very low levels of last year, partly because of concerns about the direction of international trade policy in the United States,” Dr Lowe said. Dr Lowe said financial conditions remained “expansionary”, but credit spreads were widening, and interest rates were rising around the world for reasons other than the recent increase in the US federal funds rate. “This has flowed through to higher short-term interest rates in a few other countries, including Australia,” Dr Lowe said. Events in the US had already impacted the short-term funding costs for Australian banks and led some smaller lenders to raise their mortgage rates. This global tightening in lending conditions reduces the need for the RBA to raise official rates for the present. 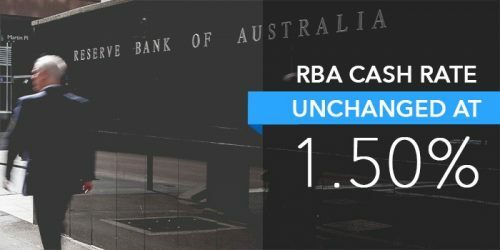 Last month the US Federal Reserve raised its official interest rate setting above the RBA cash rate for the first time since early 2001.
http://brickhill.com.au/wp-content/uploads/2017/03/RBA-07032017-e1488875277245.jpg 250 500 admin http://brickhill.com.au/wp-content/uploads/2017/03/brickhill-340-x-156.png admin2018-04-03 17:44:122018-04-03 17:44:12The Reserve Bank has kept official interest rates on hold at the record low of 1.5 per cent.